New photos recently emerged, and were also published by Israeli TV Channel 2, of Israeli soldiers -- mostly masked -- expressing their support to the “Lehava” Israeli terrorist organization, largely ignored by western corporate media agencies, especially in the United States, while explicitly calling for the killing of Palestinians. They even carry flags which are similar to those used by ISIS, and are open in their calls, including “Death to Arabs,” and racist graffiti against not only followers of the Muslim and Christian faiths, but insults and profanities targeting Jesus Christ and Prophet Mohammad, as well. Channel 2 published clips of soldiers who participated in various events, either through public protests in occupied Jerusalem, or on their personal Facebook pages, showing not only their support to terrorist Baruch Goldstein, but also to Eden Natan Zada, an active Israeli military soldier who, on August 4, 2005, boarded an Arab bus in Shfa Amr, and opened fire with his military-issued weapon, killing four and wounding at least twelve others. 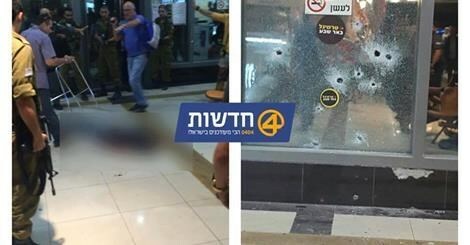 He was beaten to death after he emptied his clip, and was trying to reload for a new round of shooting to continue his terrorist attack. Baruch Goldstein, an Israeli terrorist from the illegal settlement of ‘Kiryat Arba’, in the southern West bank city of Hebron, who holds dual US-Israeli citizenship, opened machine-gun fire at Muslim worshipers during prayer. He killed 29 Palestinians and injured 135. On the same day, outside the mosque, the Israeli army opened fire towards fearful and panicky worshipers and killed at least ten civilians. Following the incident, al-Ibrahimi Mosque was converted into a military post and, later, divided into two parts, one side for Muslims and the other for Jews. Thus, the mosque became a point of conflict and constant tension that has marred its former sanctity. Israeli sources said that a large number of soldiers have posted statuses on social media websites, including symbols and pictures of themselves carrying Israeli-issued weapons, and expressing strong support to Lehava. 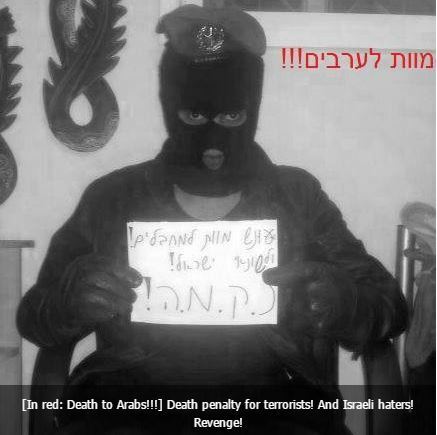 Posing for “selfies” and other photos, soldiers on active military duty, and many like-minded fanatics wearing shirts carrying Lehava symbols, all expressed support for Lehava and terrorist attacks against Palestinians, and wrote texts in this regard, including messages supporting, among many others, Zada and Goldstein. The soldiers called for the killing of Palestinians, and praised terrorist Baruch Goldstein, who massacred dozens of worshipers in Hebron's al-Ibrahimi Mosque. Lehava calls for the use of excessive force in murdering Palestinians, while its supporters openly express their support for the terrorist Israeli attack which led to burning the Dawabsha family to death, as they slept in their home, on July 31, 2015. Ali Dawabsha, only 18 months of age, was burned to death in his crib, after Israeli terrorists firebombed his home. His father, Sa’ad Dawabsha, succumbed to his wounds a week later, and his mother, Reham Dawabsha, also died of her wounds, leaving Ahmad, five years of age, orphaned and suffering with severe burns. 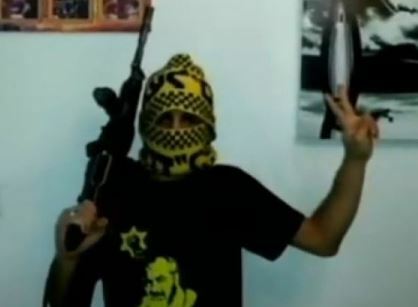 Lehava considers itself an integral part of the Kach movement, formed by Jewish-American terrorist Meir Kahane, who was also the founder and national chairman of the so-called “Jewish Defense League” terrorist organization, before his assassination in 1990. Although Israeli is aware of their activities, their attacks and plans against the Palestinians, their lands and holy sites, senior member and figures remain at large, not even wanted by authorities, while some also attend government sessions in occupied Jerusalem. One example of this is Benzi Gofstein (Ben-Zion Gopstein), a student of Meir Kahane, the director of Lehava, and a former member of the Kiryat Arba’ settlement council (2010-2013). Gofstein even appeared inside the Israeli Knesset on November 11, attending one of its sessions, an issue which shows the level of extremism and fanaticism that the Netanyahu-led Israeli government has sunk to. Lehava, an acronym which means, in Hebrew, “Preventing the Assimilation in the Holy Land,” is actively involved in attacks against the Palestinians, and works for preventing relationships between Jews and Arabs. The presence of Gofstein in the Knesset, during its Internal Affairs Committee meeting, caused tension and chaos. Israeli Ynet news site said that the session was co-chaired by Member of Knesset (MK) Michal Rozin of the Meretz Party, and Bezalel Smotrich of the Jewish Home Party, who personally sponsored Gofstein's attendance. Gofstein was even given the podium to speak, and, after he started, several MK’s began shouting insults at him and each other, with many right-wing members expressing their support for him, and favor in allowing him to speak. His fanatic and terrorist ideology isn’t a secret, it is well known to Israel itself, yet, he is given time to speak in the Knesset. Back in early August, a Haredi website called “Kikar Shabbat,” reported that Gofstein allegedly called for the burning of all churches and “idols, symbols of worship,” and that he expressed willingness to spend 50 years in jail, in order to achieve that goal. Several Members of Knesset, including Meretz MKs Rozin Michal Robin, Tamar Zandberg, Issawi Faraj, Zionist Union MKs Yoel Hasson and Itzik Shmuli, and Joint List MK Dov Khenin were removed, while Gofstein stayed. The Israeli Defense Minister had previously requested information from Israel’s domestic security agency, “Shin Bet,” regarding members of Lehava and other like-minded groups in the country, to discuss the possibility of officially declaring them to be terrorist organizations… but, such information never even reached his office. Deputy Defense Minister, Eli Ben-Dahan, said that there are no attempts, or even thoughts, regarding outlawing Lehava or labeling it as a terrorist organization, and that he even made inquiries in the Knesset with regard to the issue. Terrorist groups, including those behind “Price Tag” attacks, are responsible for hundreds of violations and crimes, including the burning of several churches and mosques in different parts of occupied Palestine, in addition to burning Palestinian homes and farmlands, and flooding agricultural lands with waste-water. 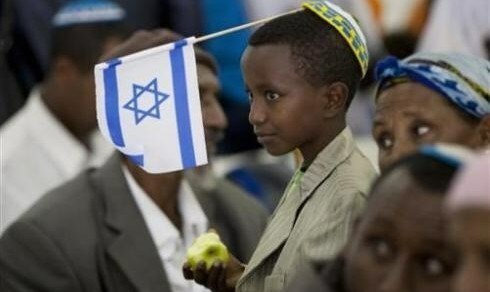 Israeli Interiora Minstry has submitted a draft proposal to bring thousands of Ethiopian Jews to occupied Palestine within six months, Yediot Aharanot Hebrew newspaper revealed Thursday. According to a draft proposal circulated by the Israeli Interior Ministry, the process of bringing the final 9,000 Ethiopian Jews to Israel will begin within six months of the proposal's approval, the newspaper reads. The proposal notes that the "issue of the families awaiting aliyah in Addis Ababa and Gondar is unique: These are people who left their home villages many years ago, and while some of their family members were allowed into Israel, they remained in Addis Ababa and Gondar, and have been maintaining a Jewish lifestyle, with active synagogues, ritual baths, observance of Shabbat and holidays, Hebrew lessons, Jewish studies, and more." Meanwhile, Israel still prevents millions of Palestinians from returning to their own houses Israeli militias destroyed or confiscated. 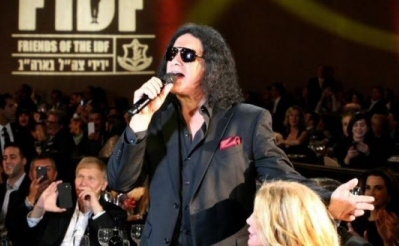 Among the present guests were: actors Jason Alexander, Antonio Banderas, Liev Schreiber, Jason Segel and Mark Wahlberg, as well as KISS bassist, Israeli-born Gene Simmons. 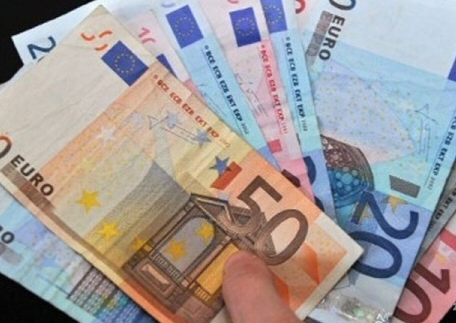 Israel has withheld NIS 1.5 billion in Palestinian workers' pension funds. Kav LaOved, an organisation protecting disempowered workers’ rights in Israel, filed an appeal against the Israeli government, the Population, Borders and Immigration Authority, and the Ministry of Finance for mismanaging Palestinian workers’ pension funds. The organisation determined that Israel has withheld NIS 1.5 billion ($386,274,940 US) in Palestinian workers’ pension funds. The Israeli government deducts a set amount from workers’ paychecks for pension plans. Then, when a worker encounters an insurance-qualifying life event, such as disability, old age, or the death of a partner, they can claim pension insurance. However, Palestinians working in Israel seldom have access to their pension insurance, even though the state deducts money from their paychecks in an identical fashion. By masking Palestinians’ pension plans as “savings,” Kav LaOved claims the state covertly encourages Palestinians to prematurely withdraw money from their pension plans. Not only does this result in Palestinians paying extremely high taxes on such withdrawals, but they also unknowingly disqualify themselves from claiming pension insurance later on. The state’s negligence and manipulations have resulted in only one Palestinian receiving pension funds for old age in 2013, three in 2014, and 113 in 2015. There are approximately 50,000 Palestinians working in Israel. Kav LaOved also found that the Israeli government has inexplicably canceled basic coverage from Palestinians’ pension plans, such as coverage for disability. Kav LaOved insists that the state must provide adequate information about the pension system to Palestinian workers, treat Palestinian workers’ pension funds as pensions, and restore insurance benefits that have been inexplicably canceled. A Sudanese young man tried to kill a Jewish settler during a recent international flight in reaction to Israel's escalation of violence against the Palestinians in the occupied territories. 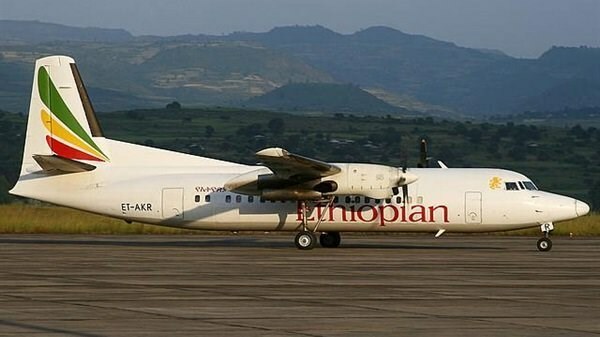 According to Yedioth Ahronoth newspaper on Wednesday, the Ethiopian security authorities arrested a Muslim passenger from Sudan after he tried to strangle a Jewish passenger to death aboard an Ethiopian airplane flying from Chad to Addis Ababa last Wednesday. The newspaper quoted the Israeli passenger, called Arik, as saying that the Sudanese man seemed to have managed somehow to identify him as a Jew before he carried out his assault. A few minutes before the plane started to land in Addis Ababa, the Sudanese man came from behind Arik's seat and attacked him before the flight crew and one Lebanese passenger intervened and saved him, according to different news reports. The incident comes amid ongoing violence between Palestinians and Israelis that started at the Aqsa Mosque after the Israeli police in Jerusalem escalated their attacks against the Muslim worshipers there and announced intents to divide the Islamic holy site between Muslims and Jews. Prime Minister Benjamin Netanyahu has walked back his controversial remarks which sought to highlight the role played by Jerusalem Mufti Haj Amin al-Husseini, in convincing the Nazi leadership to implement the final solution in a Friday Facebook post. "I wish to clarify my remarks about the connection between the Mufti Haj Amin al-Husseini and the Nazis," the prime minister said. "In no way did I intend to absolve Hitler of his responsibility for the Holocaust. Hitler and the Nazi leadership are responsible for the murder of six million Jews," the post said. In a complete departure from his previous remarks which continued to link the Mufti to the final solution, the prime minister clarified that, "The decision to move from a policy of deporting Jews to the Final Solution was made by the Nazis and was not dependent on outside influence. The Nazis saw in the Mufti a collaborator, but they did not need him to decide on the systematic destruction of European Jewry, which began in June 1941." "My remarks were intended to illustrate the murderous approach of the Mufti to the Jews in his lengthy contacts with the Nazi leadership. Contrary to the impression that was created, I did not mean to claim that in his conversation with Hitler in November 1941 the Mufti convinced him to adopt the Final Solution. The Nazis decided on that by themselves," Netanyahu added, in an attempt to explain the remarks which grabbed global headlines nearly 10 days ago. Netanyahu had claimed that the interpretation of his remarks as an absolution of the Nazis for their role in the Holocaust was "absurd." The prime minister also spoke about possible plans to revoke Israeli citizenship or residency from the Arab residents of east Jerusalem. He complained that there had not been any “progress” on the matter because of delays at the Justice Ministry, headed by Minister Ayelet Shaked (Habayit Hayehudi). “This alarming escalation, an inhuman and illegal measure, must be immediately stopped. ” Should this be adopted, such a measure will transform the actual status of hundreds of thousands of Palestinians to “non-existence,” and it will deprive them of the most basic rights and services, including shelter, healthcare and education. The Israeli Prime Minister Binyamin Netanyahu, in a recent Cabinet meeting, proposed revoking the residency rights of 80,000 Jerusalemites, which would mean that the people of Sho'afat refugee camp and Kafr Aqab, as well as other neighborhoods, would be cut off from the rest of Jerusalem. The proposal was considered by the Israeli Cabinet in their recent meeting, but no decision was made. Already, the 3 million Palestinians living in the West Bank have been severed from Jerusalem due to the Israeli construction of a massive Wall over the past 13 years. The Wall has annexed large sections of Palestinian land and made them a de facto part of the state of Israel, in direct violation of the responsibilities of an occupier under the Fourth Geneva Convention. Israel's government signed the Convention in 1957, requiring it to provide for the needs of civilian populations under occupation. The Convention also requires that an Occupying Power must not transfer any civilians into the land it has militarily occupied. But Israel has transferred over half a million people into settlements constructed on Palestinian land that was militarily occupied, then illegally seized, since the Israeli occupation of the West Bank, Gaza and the Golan Heights began in 1967. In Jerusalem, the Israeli Annexation Wall has been constructed in such a way as to annex as much of Jerusalem as possible for the Israeli state, while forcing the Palestinian population into smaller and smaller enclaves. Now, under the Israeli Prime Minister's proposal, residents of those enclaves would lose their residency rights altogether. Israel has an identity card system for the residents of Jerusalem that is completely unique in the world. Jewish Israelis who live in Jerusalem or in paramilitary colonies in the West Bank are afforded full Israeli citizenship. But Palestinians who live on their ancestral land in Jerusalem are given a different kind of identity card, which ensures that they have far fewer rights than Jewish residents of the city. If a Palestinian resident of Jerusalem, for example, were to travel abroad for more than a year, Israel would consider that person to be an 'absentee property owner', and would seize their land and home and annex it to Israel, denying the Palestinian owner the right to return to their home. The rule only applies to Palestinian residents of Jerusalem, and not to Jewish residents of the city. 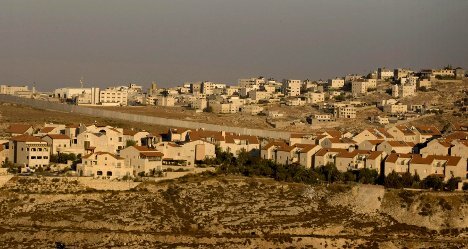 According to the Israeli paper Yedioth Ahranoth, following the construction of new walls and barricades in recent weeks to further separate and segregate Palestinian residents of Jerusalem from Jewish residents, the Israeli Prime Minister told his Cabinet ministers, "We need to examine the possibility of canceling their [Palestinian Jerusalemites] residency. There needs to be a discussion about it." Some Israeli ministers voiced opposition to the plan, not because they were concerned about the Palestinian Jerusalemites losing their residency rights, but because they believe such a division would "give up territory" that some Israelis believe should belong to Israel. That claim is based on a military takeover of the land by Israeli forces. Neither international law nor signed agreements recognize military takeover of land as a legitimate way of expanding state territory. 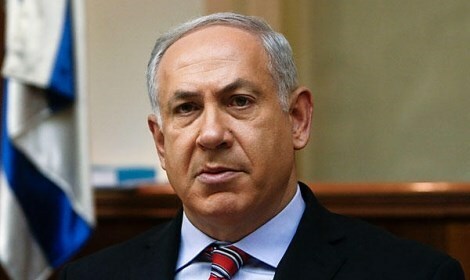 Israeli Prime Minister Benjamin Netanyahu plans to withdraw Israeli blue identity cards of Jerusalemites especially those residing in Shufat refugee camp, Kafr Aqeb, and Sawahreh districts, Hebrew sources revealed. The sources disclosed that Israeli government decided, in its meeting two weeks ago, to withdraw thousands of IDs which equals quarter the number of the Jerusalemites. Israeli Channel Two quoted an Israeli official as saying “withdrawing the blue cards of residents of Arab neighborhoods in Jerusalem is a political order and does not come within mere security measures”. An empty Israeli bus on Wednesday evening was hit with gunfire in Beer Sheba city, in southern Occupied Jerusalem, Channel 10 claimed. According to the Israeli Channel 10, the bus was empty when the shooting attack was carried out. No injuries were reported in the shooting, the same source added. News sites around the world today are talking about Israeli Prime Minister Benjamin Netanyahu’s assertion in a speech yesterday that Hitler didn’t want to kill the Jews, just expel them, till he was convinced to exterminate them by the Palestinian leader, Haj Amin al-Husseini, the Grand Mufti of Jerusalem. The criticism is so universal, and angry, that the remarks look to be a landmark in Netanyahu’s cynicism; they draw back the curtain for the world on his refusal to sincerely address Palestinians aspirations for freedom today. Meanwhile, Germany says it has no idea what Netanyahu is talking about. 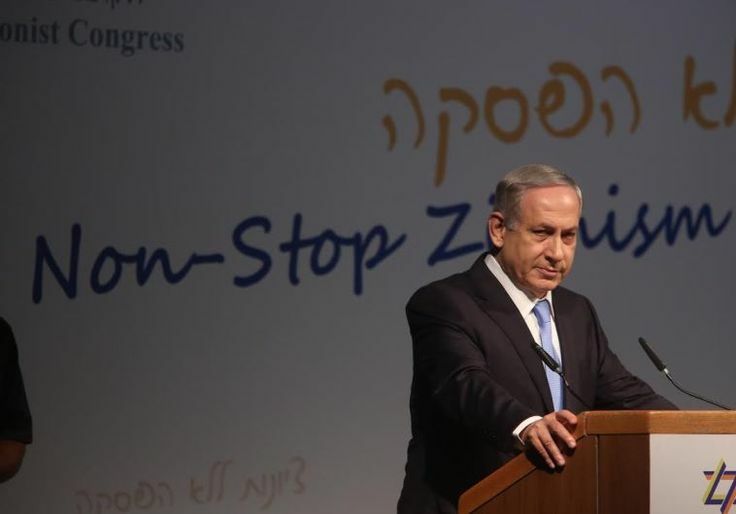 Here is the speech to the World Zionist Organization, in which Netanyahu relates the ten biggest lies told about Israel. One lie is that Israel intends to destroy the Al-Aqsa mosque in Jerusalem. He says this lie has a long pedigree, going back to the mufti. The relevant portion begins at 2:55. The remarks are a huge embarrassment. 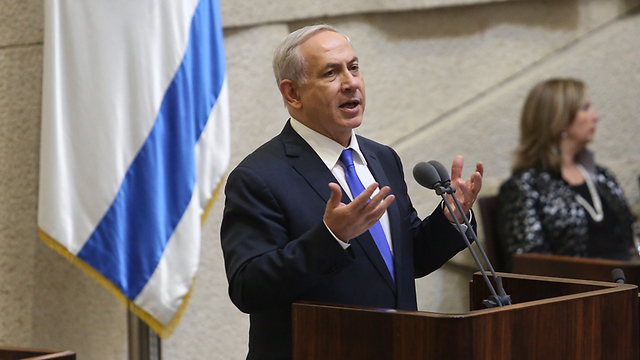 Even Israeli leaders are characterizing them as “shameful,” according to the Times of Israel. The Guardian says the speech has drawn a storm of criticism with many saying that Netanyahu is trivializing the Holocaust. It is a sad day in history when the leader of the Israeli government hates his neighbour so much that he is willing to absolve the most notorious war criminal in history, Adolf Hitler, of the murder of six million Jews,” Saeb Erekat, the Palestine Liberation Organisation’s secretary general, said. “Mr Netanyahu should stop using this human tragedy to score points for his political end,” said Erekat, the chief Palestinian negotiator with the Israelis. Scott Roth characterizes this as an ad hoc historical theory. The philosophical underpinnings of Israel r intellectually & morally bankrupt. This is why we see these sort of ad hoc historical theories. 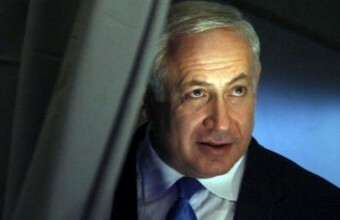 Netanyahu blames Palestinians – not Nazis – for Holocaust. Somewhere in Hell, Hitler high-fives the Devil. Eichmann’s deputy, Dieter Wisliceny, provided the following chilling testimony at Nuremberg: “The Mufti played a role in the decision to destroy the Jews of Europe. The importance of his role cannot be ignored. The Mufti repeatedly proposed to the authorities with whom he was in contact, first and foremost Hitler, Ribbentrop and Himmler, to destroy the European Jews. He saw in that an appropriate solution to the Palestinian question”. Wisliceny even provided hearsay evidence that the Mufti was directly involved in the Final Solution. “The Mufti was one of the initiators of the methodical destruction of the Jews of Europe and was a partner and consultant to Eichmann and Hitler on how to execute the plan. He was one of Eichmann’s best friends and constantly pushed him to speed up the destruction. With my own ears,” he said, “I heard him say that he visited the gas chambers of Auschwitz anonymously in the company of Eichmann”. As opposed to the things being said by Iran’s representatives and others, the Zionist leaders did not use the Holocaust to destroy the Palestinian national movement. On the contrary, the most senior Palestinian leader at the time, the Mufti Haj Amin al-Husseini preached and acted to implement the Holocaust in order to destroy the Zionist movement. It almost worked. Israelis are trying to change the subject.